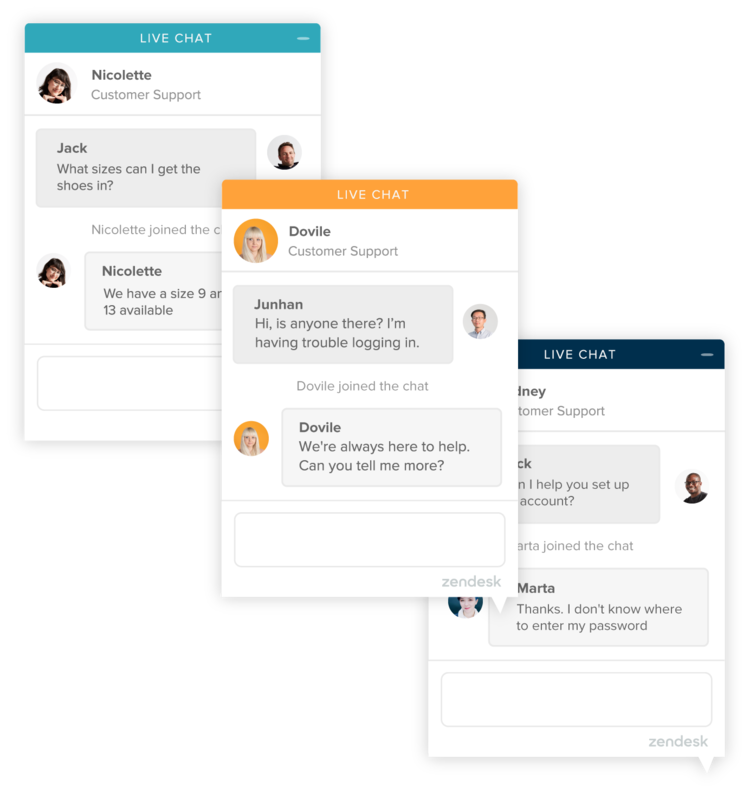 Always on, always available for your customers—first-class support teams offer live chat. 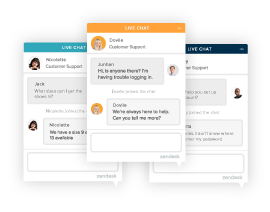 Zendesk Chat is powerful, cost-effective, and tightly integrated with Support. Deploy it across multiple platforms, including web, mobile, and messaging channels like Facebook Messenger and Twitter Direct Messages. Our 100,000+ customers come in every size and shape, from large global enterprises to teams that grow overnight. No matter where you’re headed, Zendesk is flexible enough to accommodate your changing needs. Uber grew with Zendesk. Read how. With Zendesk, your agents can easily switch between serving chats, phone calls, emails, or social media messages. No swiveling necessary. 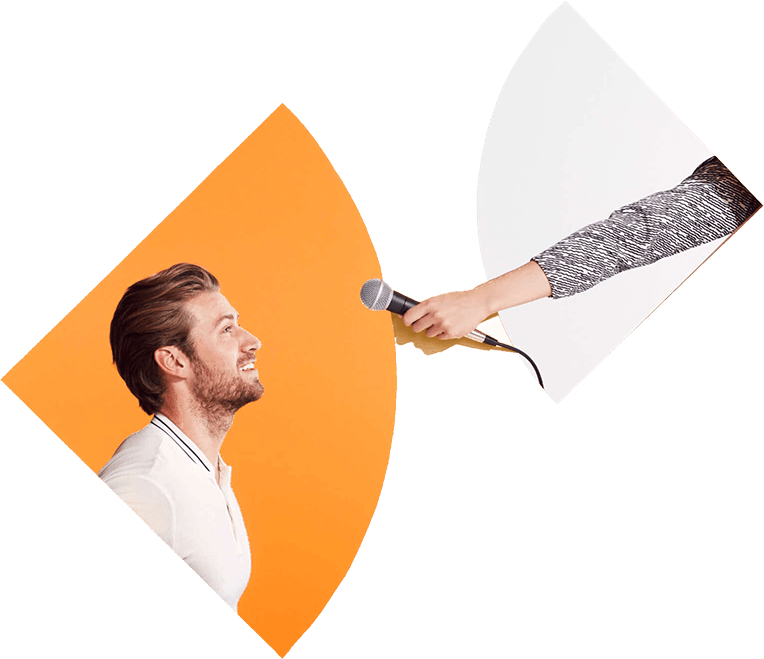 And with the Zendesk Web Widget, customers can ask for help or find the answers themselves, all without interrupting their shopping experience. Evernote serves customers across multiple channels. Read how. According to research from Forrester, Zendesk Chat helps deflect interactions from higher cost channels. It can also improve agent performance by 25%, saving you even more money over time. Learn how Trustpilot uses Chat. Read how. With sophisticated workforce management features, Zendesk will help you set your team up for success. It’s not easy to run a team from across the world. Chat makes it easier with reporting tools, region-specific operating hours, location-based routing, and agent departments. Foodpanda manages a global support team. Learn how.